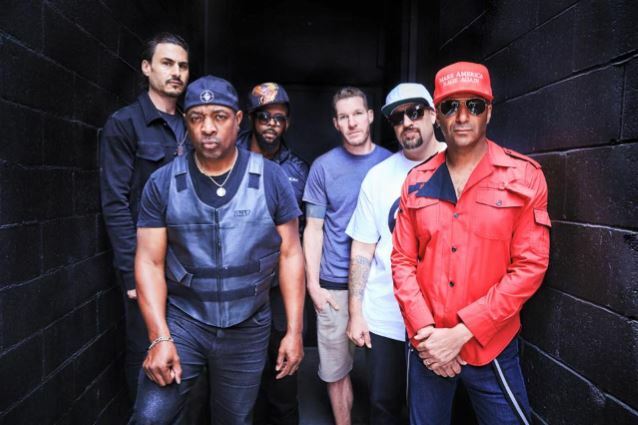 PROPHETS OF RAGE, the supergroup featuring members of RAGE AGAINST THE MACHINE, PUBLIC ENEMY's Chuck D and CYPRESS HILL's B-Real, will release its debut EP, "The Party's Over", on August 26. The five-song effort will include the previously released, eponymous single "Prophets Of Rage" — re-imagination of the PUBLIC ENEMY track of the same name — as well as live versions of RAGE AGAINST THE MACHINE's "Killing In The Name" and PUBLIC ENEMY's "Shut 'Em Down", a Republican National Convention-inspired interpretation of BEASTIE BOYS' "No Sleep 'Till Brooklyn" called "No Sleep Til Cleveland", and the new original "The Party's Over". "No Sleep Til Cleveland" and "The Party's Over" will debut on Apple Music's Beats 1 on August 18 and August 25, respectively. Even though PROPHETS OF RAGE does not feature RAGE AGAINST THE MACHINE frontman Zack de la Rocha, the group plays classics like "Bulls On Parade" along with tunes by PUBLIC ENEMY and CYPRESS HILL. "I think the music of RAGE AGAINST THE MACHINE is more relevant today than it was when it was written," Morello told Cleveland.com. "And we give a lot of credit and honor to Zack at every show because his lyrics are brilliant." Last month, PROPHETS OF RAGE released the "Prophets Of Rage" single through digital download and streaming services. 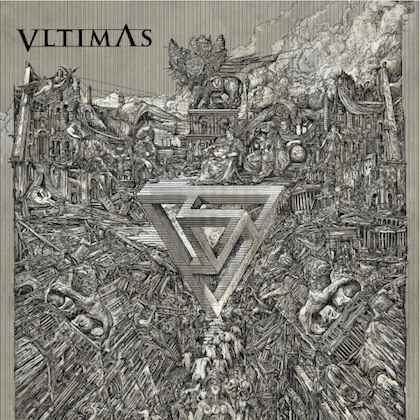 Featuring new music and a new original verse from B-Real, the single was recorded with legendary producer Brendan O'Brien who has done notable work with RAGE AGAINST THE MACHINE and AUDIOSLAVE. PROPHETS OF RAGE made their live debut in May in Los Angeles, playing numbers from all three acts. The band will embark on a North American tour later this month.